Ask most car enthusiasts what their dream cars are, and a majority of them will answer with Lamborghini, Ferrari, or McLaren. These exotics are the driving force for many people to pursue endeavors and to push themselves to greater heights. On the path to success, sometimes the Ferrari has to wait, but that doesn’t mean you have to settle or feel discouraged. The Chevrolet Corvette C7 Z51 is the exotic that has a similar price tag to a new Audi A4 and will give you the same enjoyment and smiles as any $100k+ Italian exotic. Priced around $50k for a used Z51 and a price tag of just over $60k for a 2019 model, you’ll get a 6.2L V8 engine that gets 460 hp and 465 lb ft of torque that is paired with your choice of a manual or automatic transmission. A 0-60 time of 3.8 seconds will certainly keep up with other high performance cars on the road, and if you’re on a cruise with a great group of friends you won’t be getting left behind. What is it about the Chevrolet Corvette that sets it apart from the Dodge Challenger Hellcat, Chevy Camaro, and Ford Mustang? It could be argued that in this day and age, 460 hp is nothing special, especially when the Hellcat comes with 707 hp. The C7 generation has brought exotic styling that right now is unmatched by other American auto manufactures, as the Dodge Viper is no longer in production and the Ford GT is far too expensive for the average consumer. 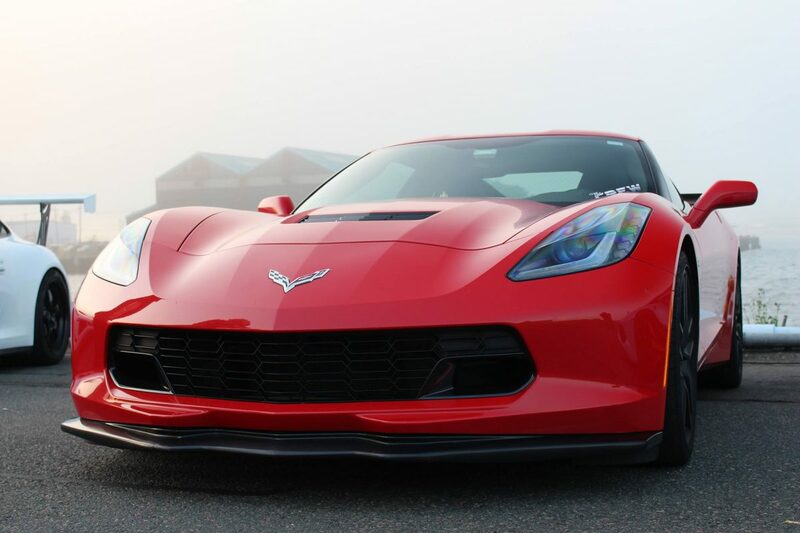 While the Z06 has almost 200 more horsepower than the Z51, it’s the price that may be a stretch for most car enthusiasts, but the Z51 is that perfect balance that allows anyone to get behind the wheel of a car that can perform at supercar levels. Chevrolet has always preserved it’s heritage with the Corvette, no matter how many changes they’ve made over the years. The Corvette is still the symbol of an American muscle car that any hard working American can step inside and have fun the minute they take to the streets. I’ve always felt that out of the muscle cars, the Corvette was the classy choice for a middle aged adult, but the C7 design has brought much more to the table that now appeals to a generation that is obsessed with exotics. Adding to that appeal, the Z51 can be customized with Z06 appearance packages, and unless the people you drive by are knowledgeable about cars, from far away it could easily be mistaken for a Z06. Out of the box, the stock exhaust that comes with the Z51 sounds absolutely incredible. A few years ago SaabKyle filmed a Pure Sound video for the 2016 Chevrolet Corvette Z51, and if those 10 minutes don’t sell you, nothing will. In an era of high horsepower numbers and exotic cars with striking looks that turn heads, the Corvette brings both and won’t clean out your entire bank account. In my eyes, the C7 is the last remaining american muscle car that in terms of looks, fits right in when cruising with Ferrari’s, Lamborghini’s and McLaren’s. Even better, it’s significantly cheaper, making the Z51 the perfect car to introduce you to high performance exotics. The lifecycle of the C7 Corvette is coming to a close, but in a few decades, we will look back on this car as being a classic from our generation. Chevrolet got it right, and whether you own one today or 20 years from now, this car will always look great! Next Next post: 2018 Volkswagen Passat V6 GT – Is It A Sports Sedan?